Yet to be named island amusement park is seeking staff members for their grand opening to the public. Job will require you to relocate to beautiful Costa Rica where you will be helicoptered into the park past scenic waterfalls, while uplifting instrumental music plays for you. Duties include zoo keeping, light janitorial work, leading tours of the park, data entry and making sure the animals don’t master asexual reproduction due to the unstable nature of their substituted amphibian DNA. The ideal candidates are people who can keep a secret if, oh I don’t know, the wildlife somehow mauls one of the dockworkers beyond identifiable recognition (which totally won’t happen). Grave digging and document shredding experience are also a plus. We are also looking to fill a few research positions after recently experiencing some unexpected vacancies. If you have ever been accused of genetic tampering or have been thrown out of a lab while the administration shouted, “This is not God’s work! They’re abominations!” then we’d love to talk to you! We’re not really in the market for those overeducated types. The ones who get hung up on things like morals, ethics, common sense or would openly criticize the park’s owner for letting his grandkids take a tour of the park before it was deemed safe. What’s that? Science makes your head hurt because it’s all so confusing and complicated? Well, we need computer programers, too! We are looking for talented coders and designers. We welcome applicants who may be overweight, chain smoke or have some experience running security grids that would keep the totally harmless and docile animals away from tourists and staff. So apply now! Don’t listen to that string of slanderous posts put up by widows of ex-employees, claiming that this park is overrun by horrible, horrible dinosaurs, because that sounds like crazy talk to me. You will totally not be working with dinosaurs, because dinosaurs are make believe. – Be good at climbing fences (in case electric fences suddenly activate while you are climbing them). – Have a working knowledge of how dinosaurs would hunt you if they were hunting you (again, dinosaurs don’t exist, but it wouldn’t hurt to brush up on their hunting patterns). – Be a calm personality, who won’t shout things like, “Oh God, they’re testing the fences! They’re getting smarter!” or “They got out! This is how it happened in my nightmare!” if something goes wrong. – Have experience firing tranquilizer guns at agile, uncontrollable genetically engineered reptiles. – Not have a problem signing a non-disclosure agreement that says you can never talk about your work, which is again, totally safe. 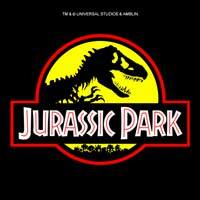 • Locations: Costa Rica, Isla Nublar, Isla Sorna, other assorted shady islands and B-sites. • Compensation: Competitive pay, an exciting workplace (much better than the San Diego Zoo!) and the unique opportunity to wipe out an entire species if they free themselves from their cages. • Please, no undercover investigative reporters applying for positions as catering staff. We do background checks and really, there is nothing to expose here at this completely safe and well thought out park, we swear. Avoid scams and fraud by dealing locally! Beware of any employer preemptively promising that you will not be working with dinosaurs. It is highly likely that you will in fact be working with dinosaurs, despite their extinction during the late Cretaceous Period. More info.